Tarifa will be the stage on July 21 of the first edition of the Indie We Love Sunset Festival. This event, which will be held at the Antonio López Púa Municipal Stadium in the city, is part of the Andalusian festival route, with more than ten hours of live music, six concerts, and two DJ sessions. 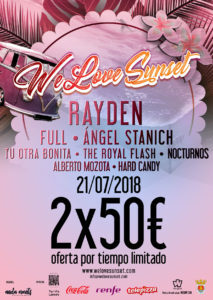 A poster with top-level artists such as Rayden; the Sevillian band Full, which presents its second album, or the singer-songwriter Angel Stanich. Your Other Pretty with your new work Truth or audacity? the fabulous live show of The Royal Flash and the indie rock of Nocturnes, complete the offer of the first edition of the Festival that will revolutionize Tarifa this summer. 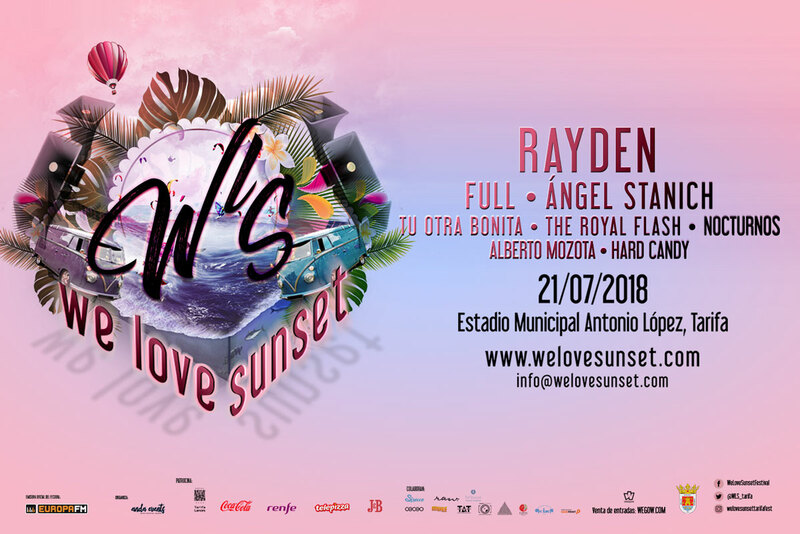 We Love Sunset Festival will begin at 4:30 p.m., starting with a session of DJ Hard Candy, and will end after two o’clock in the morning with a session designed by Alberto Mozota from Madrid. A unique day, in a space with the best sunsets of the summer, which will become an essential appointment for lovers of music, nature, and sports. http://Tarifa will be the stage on July 21 of the first edition of the Indie We Love Sunset Festival. This event, which will be held at the Antonio López Púa Municipal Stadium in the city, is part of the Andalusian festival route, with more than ten hours of live music, six concerts, and two DJ sessions.